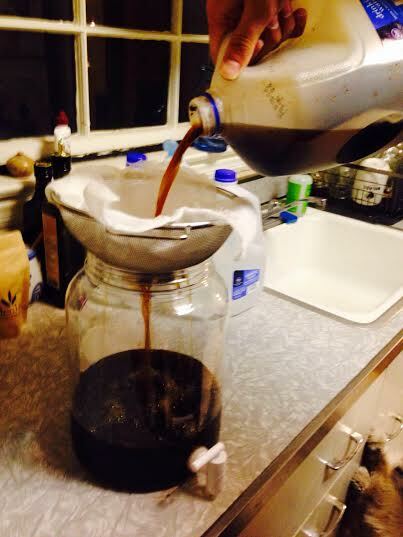 How to make cold brew coffee. | Finding delight. Next, grab some sort of a vessel that your coffee can hang out in for 8-12 hours. We used a plastic water jug. Scoop in 1/3 Lb. of your ground coffee. You can fashion a funnel out of paper if this process seems like a disaster waiting to happen (We did!). Then pour in a 1/2 gallon of water. I would recommend using filtered. Now you just have to wait. Not pretty but effective. 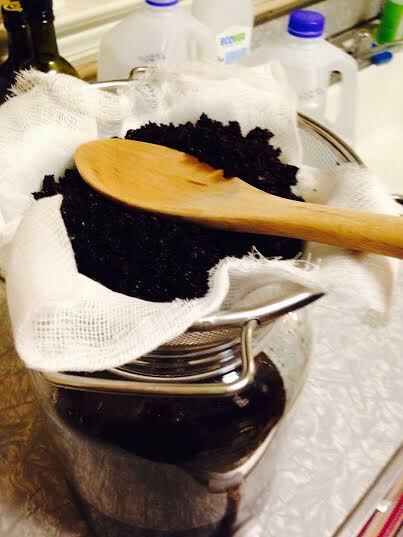 Once your coffee is done hanging out you’ll have to strain out the grounds. 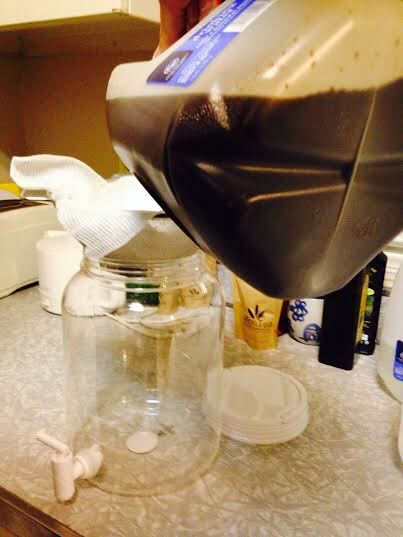 Find something to keep the sweet nectar in–like a pitcher, drink dispenser or even a large tupperware. 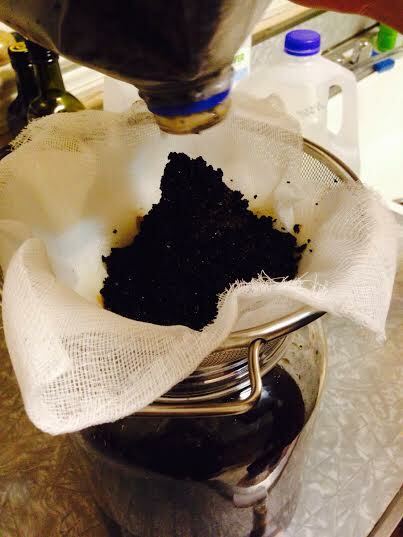 Set up a fine mesh strainer over top of the chosen container, line the strainer with a cheese cloth and get to pourin’. Make sure to pour EVERYTHING out–even all the grounds. You can use a big wooden spoon to SMOOSH the dregs down into the strainer and make sure you’re getting every last bit of liquid. 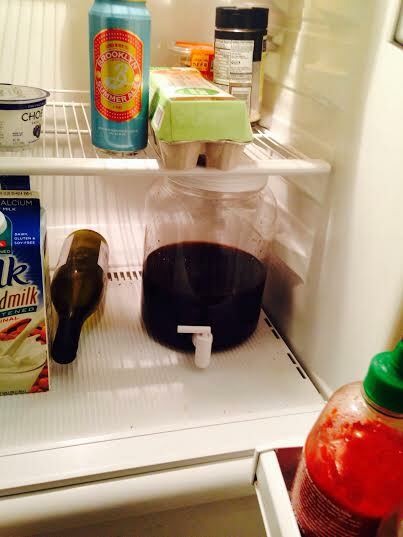 Once you’ve gotten all the liquid into your container, put the top on and stow it in your fridge. Now you’re all set to pour it in your very own cup (with ice, almond milk and stevia if that’s your jam) and enjoy from the comfort of your own home or on the go! What have you done to save money this Summer? 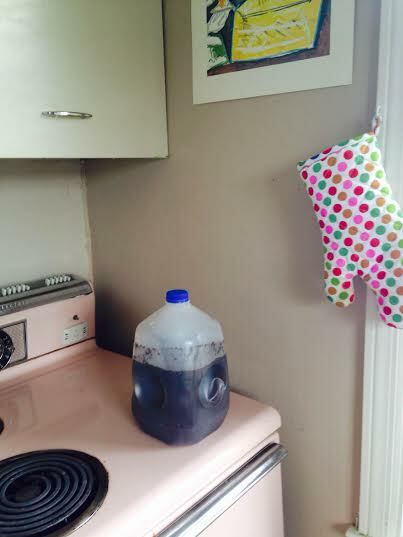 Have you ever tried cold brewing at home? 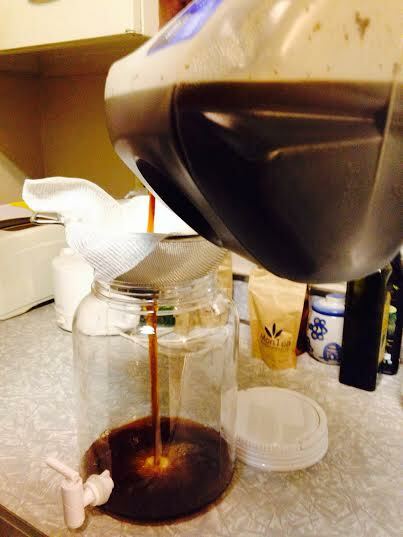 Pingback: Ballin’ on a Budget–Ditch the Coffee Shop Habit | Finding delight.